Another 4.5 million children live in coastal areas, which are regularly struck by powerful cyclones, including almost half a million Rohingya refugee children from neighbouring Myanmar – living in makeshift bamboo and plastic shelters. “Climate change is undoubtedly increasing the number of children who are pushed into the workplace, where they miss out on an education and are terribly exposed to violence and abuse,” UNICEF Bangladesh Child Protection specialist Kristina Wesslund said………. 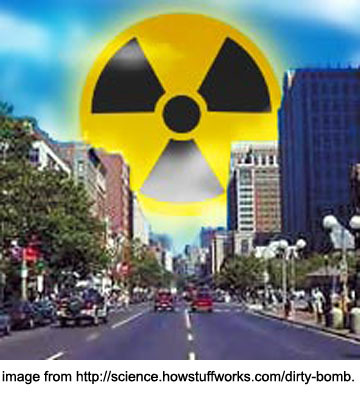 Nuclear power – a CLEAN energy source – Really? (My comment sent to the article below, – comment not appearing there so far).To suggest nuclear power as a cure for climate change is like suggesting cigarette smoking as a cure for obesity. Nuclear power is NOT CLEAN. It involves an entire fuel chain from uranium mining through to deep disposal of radioactive trash. At every point in that chain, (even in the reactor operation itself) carbon is emitted. (The reactor’s operation emits a tiny amount of carbon 14) There are also carbon emissions from all the transport involved. Why some environmental groups oppose a bill to help out low-carbon nuclear plants, Pennsylvania Capital Star, By Elizabeth Hardison -April 5, 2019 After Sen. Ryan Aument revealed his version of a plan to prop up the state’s nuclear power plants on Wednesday, it didn’t take long for the criticism to start rolling in.“We don’t need to see the forthcoming bill to know that any proposed legislation would rob ratepayers, including Pennsylvania’s most vulnerable citizens, to support corporate greed,” the No Nukes Bailout Coalition, a group that includes the AARP, gas industry interests, and commercial electric users, said in a statement Wednesday. https://theecologist.org/2019/apr/05/creative-action-against-nuclear-waste Chris Bluemel, Stop New Nuclear Network , 5th April 2019 Campaigners will gather at the Springfields nuclear site in Lancashire to raise awareness on the twin fronts of new nuclear generation and radioactive waste disposal. Nuclear power has never lived up to the promise of cheap energy for all, but the costs have included displacement and sickness to nearby communities, contamination of land and water resources, and a build up of 70 years worth of nuclear waste. In the UK, the costs of nuclear developments have been borne by the taxpayer. Under the ‘Contracts for Difference’ scheme, bills for electricity from the new plant at Hinkley C will be twice what we currently pay. This does not cover the costs of accidents, which are underwritten by the Government. Nuclear plants typically run overtime and over-budget. The Government’s consultation about burying nuclear waste is about to end, kicking off a five-year search for a willing host community with ‘suitable’ ground conditions. We are presented with two options: leave the waste in crumbling storage facilities like Sellafield; or bury it and let it contaminate the environment. In Scotland, new surface-level management facilities are being built but in England this is deemed too expensive. It is clear that we need a solution to managing the waste before we create more of it. Springfields is where nuclear fuel is produced for both civil and military use, and waste processed from both the UK and abroad. ‘Surround Springfields’ on 27 April is an opportunity to follow the route of radioactive waste and to understand how this issue affects everyone, everywhere. We will even be dressing as barrels of waste in an attempt to break a world record for surrounding a nuclear site. We will also be having a live conversation with indigenous people in other countries via a webinar about the impacts of uranium mining and nuclear waste. You can join this remotely if you cannot get there – check our Facebook page for details. Do we choose a long term, socially responsible and ethical energy supply, with a moral commitment to the wellbeing of future generations? We need to come together and make the Government approach these challenges with vision and creativity, not with the poverty of ambition, opacity and lack of foresight that characterises the nuclear solution. Surround Springfields will take place on Saturday 27 April. For more information, contact the organisers. Chris Bluemel is a music teacher and campaigner and part of the Stop New Nuclear network. He has been involved in a wide range of campaigning from standing in elections as a Green Party candidate to direct action against road-building, fracking, the DSEI arms fair, and Trident. He is also part of the radical protest-folk band Seize The Day.